In another incident on Friday, at least 25 people were killed in a bomb attack in north-west Pakistan. A separatist group, the Balochistan Liberation Army, said it had carried out the attack. It is one of a number of separatist groups operating in the restive province, which has seen a long-running nationalist insurgency. 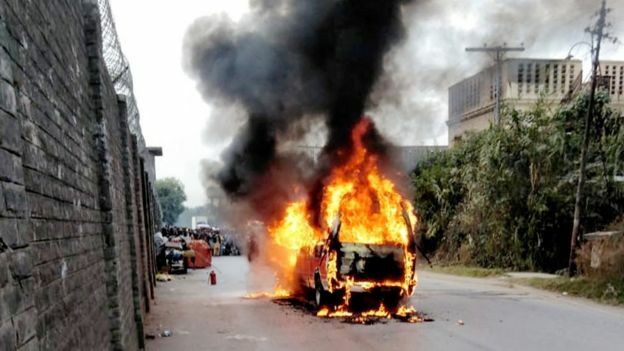 Over the years, construction projects and Chinese workers in Balochistan have been repeatedly targeted by militants but this is one of the most prominent such attacks to date. Balochistan is at the heart of an ambitious Chinese project, the China Pakistan Economic Corridor (CPEC). 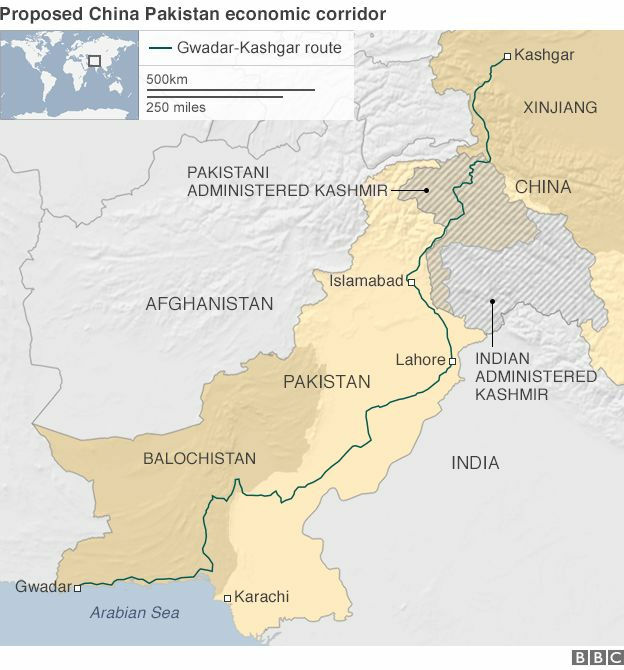 The corridor is a string of huge investments by China in Pakistani infrastructure seeking to link its western Xinjiang province with the Arabian Sea port of Gwadar in Balochistan, as part of the One Belt, One Road initiative.